A unique journey into the essence and secrets of the Amorgos Island, through unknown trails and stunning underwater stages. 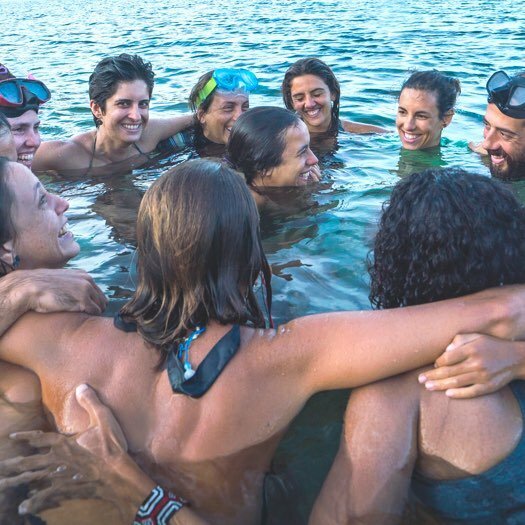 This is the perfect trip for adventurous people who want to explore the water in different ways, as well as for those who want to embark on a journey of self-knowledge and connection with themselves and with nature. This practice allows the development of physical abilities and of a creative and spontaneous mind. Each dance expresses a current and improvised encounter in the moment. Diving practices safely developed and open to all levels of experience, allowing people to discover and enjoy the wonderful underwater world of the Amorgos Island. Hatha Vinyasa Yoga sessions open to all levels of experience. A unique combination of Pranayamas, Asanas, Mantras and Meditation practices in a Shala with a stunning view. A “liquid dance” and body listening exercises, through a unique set of tools and aquatic research that help us develop our potential and creative expression. Unforgettable moments at sea and on land through little-known trails. Nurturing a deeper connection with nature. A series of simple movements in the water combined with conscious breathing which take us into a slow-motion meditative dance. It promotes a deep relaxation and increases body awareness. the picturesque charm of the Aegean Sea. 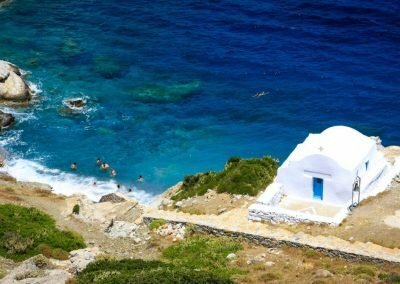 A small island in the Aegean Sea with 1800 inhabitants, which, according to Greek mythology, Ulysses was attracted like a magnet by Goddess Kirki. It is known to be the place with the 2nd highest terrestrial magnetism in the world. 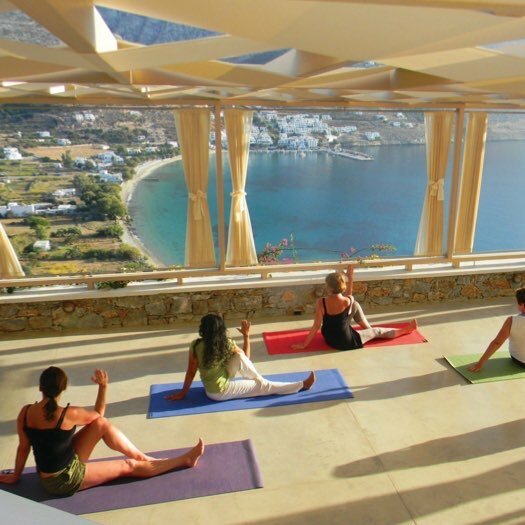 Every year it attracts yoga, health, wellness and diving enthusiasts, which are drawn by the island’s strong revitalizing energy, the abundance of therapeutic herbs and the breathtaking views, which make the Amorgos Island a perfect place for physical and spiritual rejuvenation. Give yourself very special moments. Places which were specially chosen for enjoying aquatic activities and contemplating nature. A combination of wonderful bioluminescent beaches and unforgettable sunsets. Family-run hotel with a stunning panoramic view, located within a 5-minute walk from the beach. With SPA, Thalassotherapy, sauna, Turkish bath, jacuzzi, indoor pool and gym. With massage jets and a cascade, the hotel’s spa pool is the only spot on the island that has warm water. 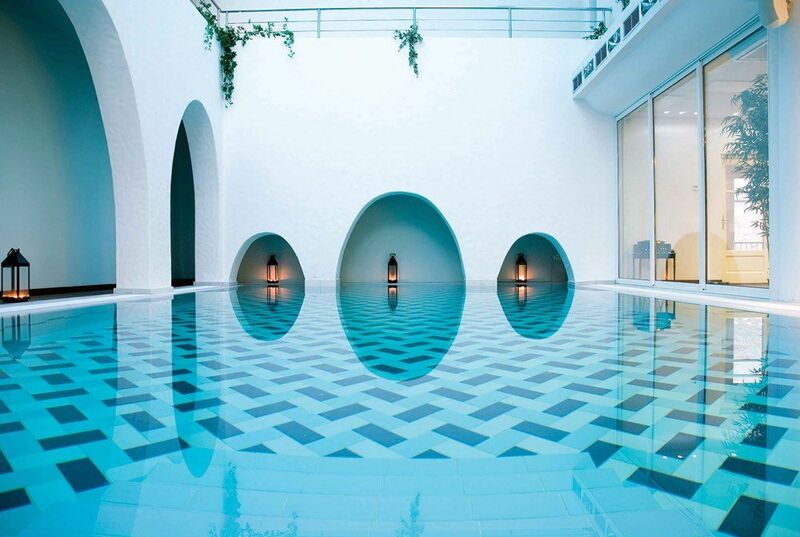 This pool offers the best conditions for practicing aquatic dance. 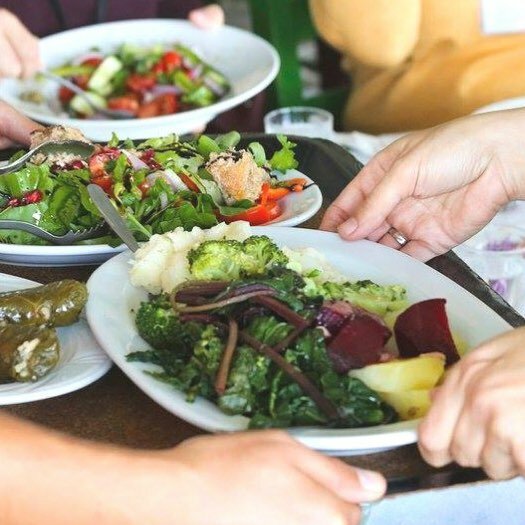 Delicious organic, fresh and vegetarian meals, prepared with traditional flavors and local ingredients grown in the hotel’s garden, and vegetarian meals in typical restaurants on the island. The comfort of the rooms, the hotel, the hospitality of the people and the island that surrounds us and serves as the main stage for this whole experience is actually the comfort of coming home. A genuine bonding with inspiring people that share the same passion for water. Sharing the warmth of the local community, the talents and new ideas, as well as the island’s traditions. 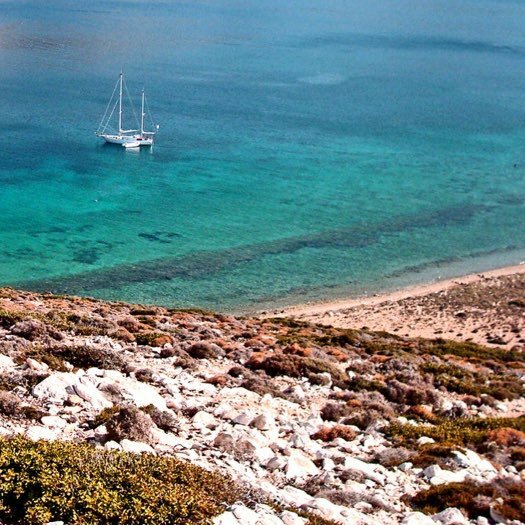 Dive into the crystal clear waters of Amorgos with a visibility of more than 30 meters deep. 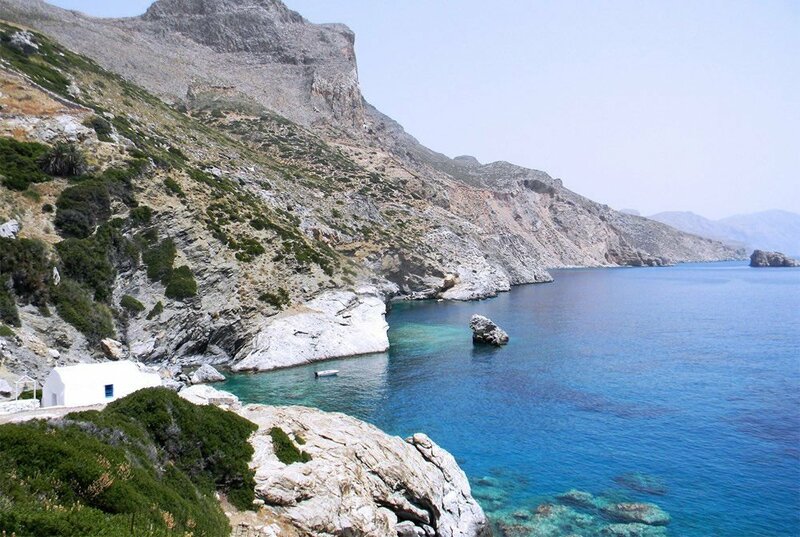 Amorgos offers iconic diving spots, many of which will be the basis for our creative adventure. Our research for the best water playground brought us to the island where the movie “The Big Blue” was filmed. This trip is an invitation to an aquatic and self-discovery adventure, through a unique combination of nature, diving and aquatic dancing experiences that will make it the trip of a lifetime. * Meraki: from Greek, means to do something with all your soul, creativity and love. Create from the essence with passion in your heart. · Arrival to Amorgos by boat, around 2h00 in the morning. · Reception at the port by Violeta and Gustavo and transfer to the Hotel. · Arrival at Aegialis Hotel & SPA to get settled and rest. 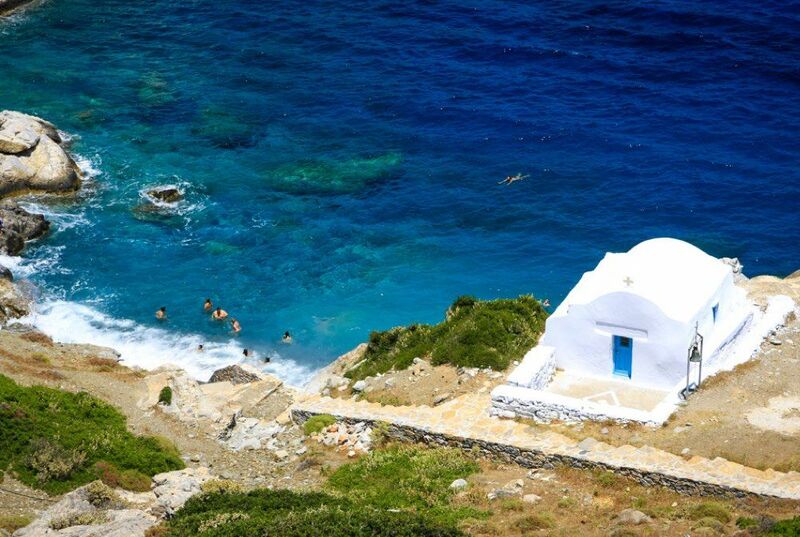 · Wake up serenely with the sound of the ocean, breathing the Aegean Sea breeze. · Enjoy the authenticity of the island. 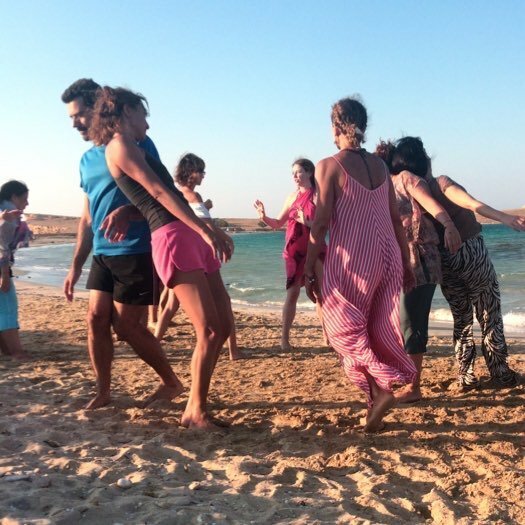 · Opening circle with our facilitator Violeta Lapa and our teacher Apostolia Papadamaki.
. Movement practice with Apostolia Papadamaki. · Contemplate the sunset and the magnificent starry sky. 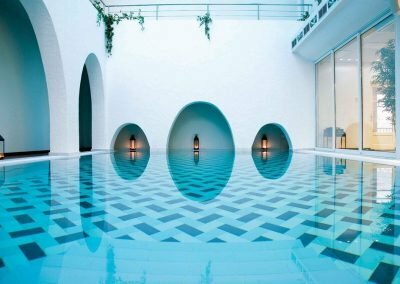 · AquaArte and Floating Body session, with Apostolia Papadamaki and Violeta Lapa – in the saltwater pool, specially heated for our group. · Experience the sensation of moving freely and flowing with the water. · Contact dance improvisation session. · Experience the freedom of flying in partnership. · Meditation at dawn, near breathtaking rock formations. · Silent walk through a little-known trail. Visit to Aglios Pavlos beach. Snorkeling session in turquoise waters and visit to an aquatic cave. · Freediving introductory session with Dimitris. Boat trip to Nikouria Island. 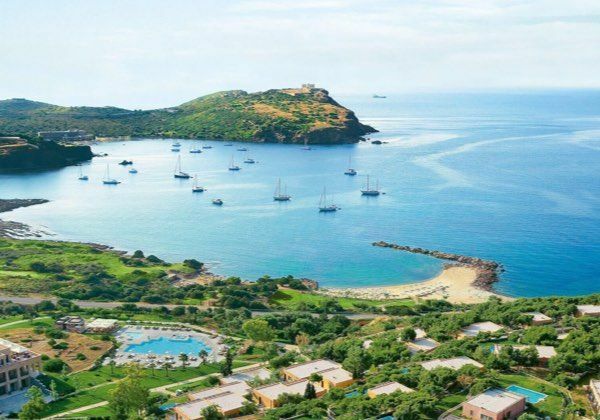 · Meeting with Vangelis, the herbalist who will show us wild medicinal herbs, as well as some rare species among the 600 different plants of the island. We will get to know his art, natural cosmetics and essential oils. · Celebrate life. A lovely dinner with dance and Greek music. · Swim in the bay of the beach. · Be a part of our film about water and deep ecology. · Visit a fabulous wrecked ship (Manina 3). · Take time for yourself. Listen to the croaking frogs and feel the smell of sage that fills the air. The day invites you for a break. · Film session: Watch the underwater dance performance “Drops of Breath”, in the movie theater of our Hotel, in a private screening especially for you! Discussion with Apostolia, Violeta and Gustavo about the values of being one with the Water. · Today we will visit the most beautiful landscape used as a background for the film “The big blue”, by Luc Besson. 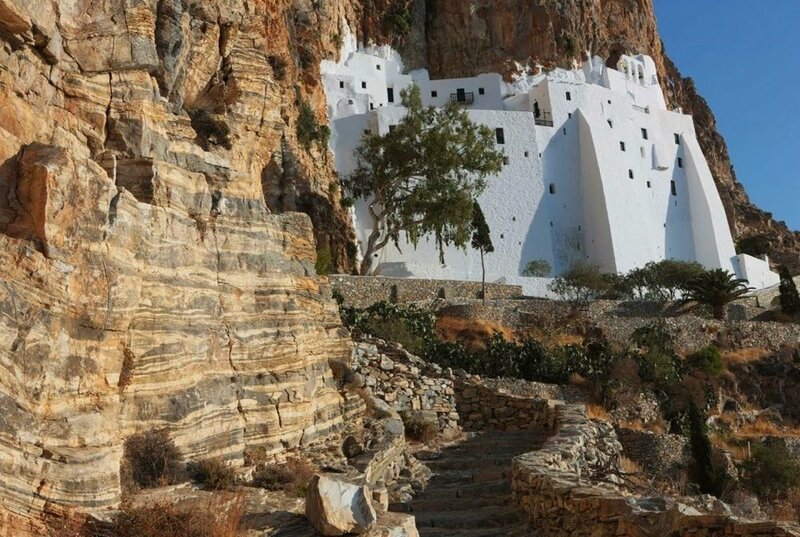 · Visit Agia Anna beach, the best aquatic stage and contemplate the impressive Panagia Hozoviotissana Monastery – one of the oldest buildings in the Cyclades. · Lunch in a tavern on the island, where we will meet Theodore and his family. · Return to the hotel. · Relaxation session and moment of creation at sunset with Apostolia and Violeta. · Access by sea to the shipwreck beach, from the movie “The Big Blue”. · Participate in an inspiring eco-action. · Get to know the ARCHELON environmental association, the work they develop in Greece for the protection of sea turtles and their underwater eco-system. · Return by boat and access to parts of the island that most people cannot access. · At night, we invite you to take a glowing nocturnal dance in the bioluminescent sea. · Closing Circle & Celebration at the beach. Here will be the ideal place to finish our work and think about our experiences. · Feel in Flow and in Harmony. Feel at Home. · Last dance on the island and opportunity to spend some time together. At night, Gustavo will have a surprise for us at the Hotel. · It’s time to wake up early, to return to Athens. · Say goodbye to the group with a heart full of happiness, unforgettable moments and new friends. · Admire the stunning view. You will most certainly want to come back. A natural stage with subaquatic music, for dancing underwater. Guided by the teacher Apostolia Papadamaki, in partnership with Athens Divers Club. If you want to know more information and participate, click here. Live an authentic experience in the water with practices of deep ecology. The Oceans and Flow journey is a journey of transformation for those who seek better self-knowledge through the water and its creative and healing power, developing body awareness and sensitive listening. A fun way to embrace the world and to experience a healthy and happy lifestyle while in touch with your deepest dreams. We will develop different sessions to dance, move and activate our bodies, relax and have fun. Together we will transcend fears and some discomfort with the water. Enjoying the wonderful aquatic world. Sharing dreams and talents. Internationally acclaimed choreographer, a lover of scuba diving and underwater dancers. One of the founders of Drops of Breath underwater dance performance. Facilitator of deep ecology experiences. She is the founder of this project that takes care and devotes attention to all details making this trip as unforgettable and authentic as possible. Film Director working on different frequencies of the water, lifestyles and dances that inspire, awarded at international short film and documentary festivals. 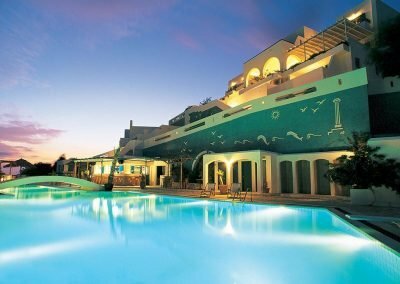 : 8 nights in a luxury accommodation (double or single room), with private balcony and sea view at Aegialis Hotel & SPA. 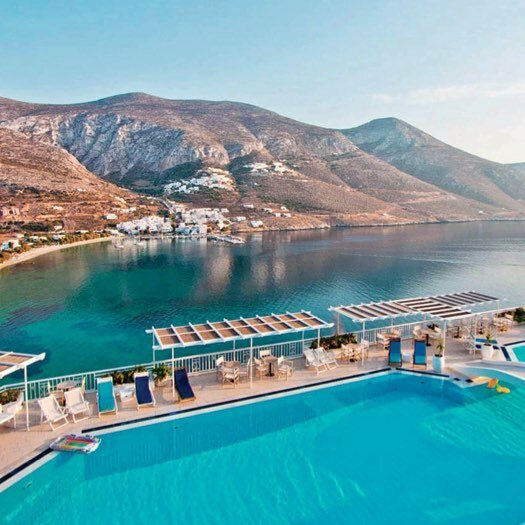 : Transfer from the port of Amorgos to the Hotel (arrival and return). : by Bus: Between the exits 4 and 5 of Karaiskaki square in the airport, take bus X96, which departs every 20 minutes during the day, or every 40 minutes at night. The ticket costs 5 € and the trip lasts from 1h15 to 1h30 to the port. : by Táxi: this is the most easy way to get there. The journey from the Airport to the port will be 45 to 60 minutes. We suggest arriving in Athens on October 7th, booking the flight with arrival before 14:00, to be in the port Piraeus in time. The ferry to Amorgos leaves at 17:30 and the journey lasts 9 hours. Arrival at Amorgos at 02h30. 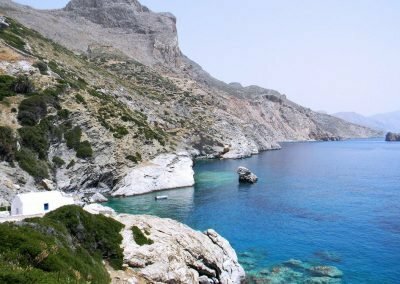 In Amorgos there are two ports: Katapola and Aegiali. On October 8th, arrival will be at the port Katapola at 02:00. Upon arrival a shuttle will take you from the port to the Hotel. 1. Is this journey for me? This journey is for people who like Adventure and Water. 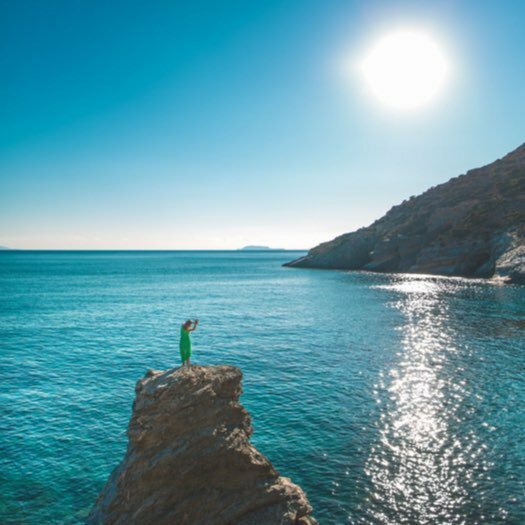 It’s not a touristic endeavor; it’s an invitation to travel in a different way, dancing through several idyllic places in the Amorgos Island, in Greece. It’s limited to 12 participants and a Flow Team of 3 people who will be with you during the trip. It is for those who are interested in exploring their creative potential and expanding their abilities, building a closer relationship with the water and the Oceans. For Nature lovers and people who want to experience and develop different practices, or even overcome any fear or discomfort they may feel towards water. Prior swimming or dancing experience is not required. This journey is for those who want to have fun and relax at the same time, to have time for themselves and to get to know themselves better. We are going to perform daily practices in order to foster conscious and considerate attitudes towards ourselves, the group and the world that surrounds us. It’s all about going with the Flow – to trust and to let yourself be surprised by what we have in store for you. Please bring an open mind, an open heart and a good sense of humour! 2. How are the accommodations and in what type of rooms are we going to stay? We will stay in a family-run hotel called Aegialis Hotel & SPA, in comfortable and minimalist rooms with a stunning view of the Cliffs and the blue bay of the Aegialis Beach. 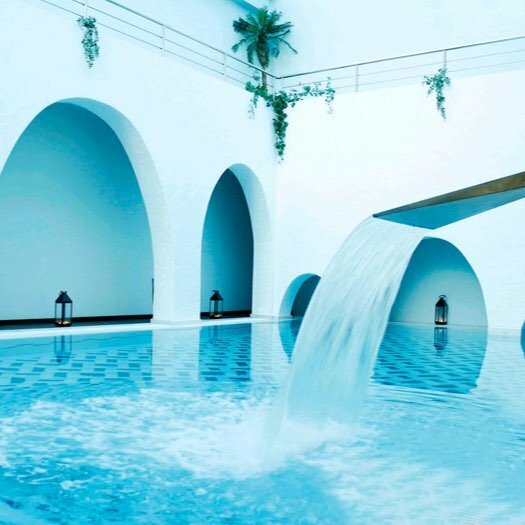 The Hotel has a SPA with sauna, Thalassotherapy, Turkish bath, jacuzzi, indoor saltwater pool and a gym. The rooms are shared. If you are traveling alone, you will be paired with another traveler of the same gender. If you are travelling as a couple or with a friend, you will have your own private room. This accommodation was specially selected in order to offer richer experiences. 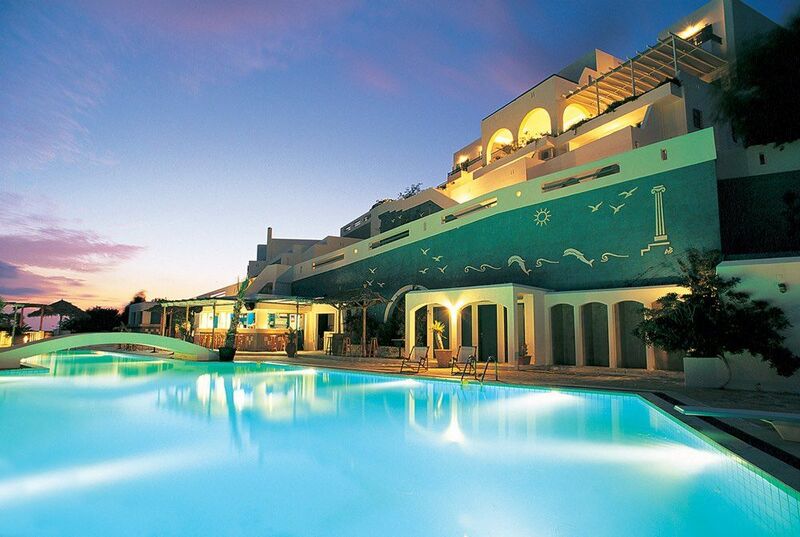 It is the only place in the island that has a heated saltwater pool. It offers the perfect conditions for us to carry out our activities in the water and on the land and to enjoy a perfect week. 3. What if I want a private / single room? It’s possible to have your own room, but you will have to pay an extra 230€ fee. 4. When should I book my flight? You should only buy your plane ticket after paying for the trip and confirming that your reservation is complete. Book your flight as soon as possible. 5. Can I go alone? Of course you can. As a matter of fact, most of our travelers go by themselves. In this trip, you will meet new people and make friends. 6. Who will I share my journey with? First of all, you will be with Violeta Lapa and Gustavo Neves during the whole trip. You will also spend the week with the teacher Apostolia Papadamaki and other travelers who share with you a common interest for traveling, adventure and discovery … and who are also looking for new emotions and unforgettable moments. We travel in small groups. For us, it is paramount to pay attention to each participant and to give each one of them our undivided attention. We also invite you to share a friendly atmosphere through our co-creative teamwork, where we support and help each other during and after the trip. All Oceans and Flow travelers share two common interests: traveling and a passion for Water. It means that they are curious, active people with a taste for learning, exploring and, above all, for developing a different vision and a sustainable attitude towards the places they visit. They are people who seek adventure and discovery and, therefore, they tend to have a carefree attitude when facing unexpected circumstances. They would choose to be in touch with local traditions over the comfort of international chains of hotels or restaurants. Most of them come unaccompanied and wish to create memories of unforgettable moments among a new group of friends. The age range of our travelers is wide. I can assure you that the atmosphere is very fun and relaxed and that, by the end of this trip, you’ll have made new friends. 7. Will all participants travel together? No. Since there are travelers coming from many different parts of the world, our meeting point will be at the Katapola Port, in Amorgos, on October 8th. 8. I couldn’t book a flight for the same day that Oceans and Flow begins. Can I arrive before that? Of course you can, but you’ll be on your own until we meet in the Amorgos Port, on October 8th. 9. 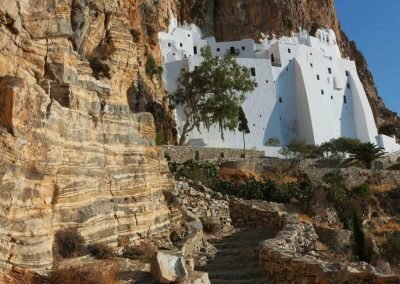 If I want to go to Amorgos a few days earlier, can I book the accommodation with you? What if I want to stay a little longer after our trip is finished? We do not book accommodations before or after our trip. 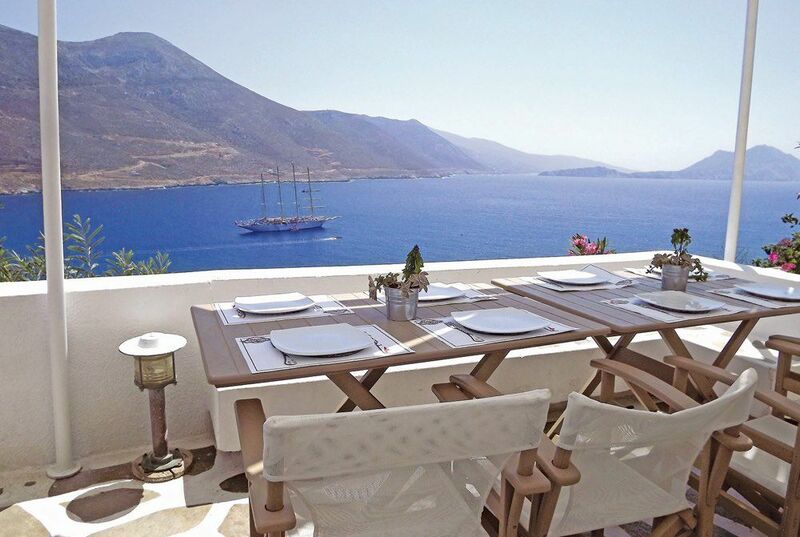 However, if you want to arrive in Amorgos a few days earlier, we can give you the phone number of the place where we are going to stay, and you may book additional nights if you like. 10. What is the weather like in the region we will visit? The date of the trip was carefully chosen so you can enjoy the best weather conditions. The weather will be nice, but it might get cooler at night. 11. What should I pack? Bring comfortable clothes and shoes, sneakers, flip-flops or crocs, sandals, etc. Any type of comfortable footwear is indicated for this trip, we won’t take long walks. We will spend a lot of time in the water. For the workshops, you should bring the following items: a sun hat and some kind of hat to protect your head and ears from the cold weather after finishing the water practices; a snorkeling mask (you may also bring swimming goggles and a nose clip, but it’s not so comfortable); swimsuit or bikini and towel; a t-shirt that can be used for swimming or a neoprene shirt; comfortable clothes to dance on land and in the water; musical instruments, if you have any; camera for photos or video, specially waterproof models are very welcome; for the water dance you may bring loose clothes and dresses. Also bring a flashlight, some warm clothes for the cool nights and mornings, sunglasses, a small backpack for the day, toiletry items. Please, pack as light as possible! 12. Are all meals included? Why are some meals not included? The meals will be provided by us, following local and traditional gastronomy. Drinks are included, with the exception of alcoholic drinks. Eating places are previously selected by our team. All meals are included (breakfasts, lunches and dinners), except for lunch on October 11th, which is the free day. Please let us know if you have any kind of dietary restrictions. Whoever wants to choose other places to eat will have to bear the cost of the meal. On average you can spend 30 to 40 euros per day for lunch, dinner and snacks. This value will vary according to your consumption habits. 13. Will I have free time for myself? Of course! The program is flexible and we will always pay attention to the Flow of the group. After the dance sessions and workshops, you may venture out and explore the island, go for a walk, have fun and relax. 14. Will I have access to the internet and cell phone network? In the Hotel you will always have access to the Internet. However, there are some places on the island where the internet is really slow. Enjoy the opportunity to disconnect, let your friends and loved ones know that you will be disconnected and tell them not to worry. Turn on your vacation reply and enjoy the freedom! 15. How can I pay for this trip? – Pay the best prices in plane tickets. 16. Should I bring local currency? How much money should I bring? You can exchange money as soon as you arrive at Athens International Airport. The currency used in Greece is the euro, and the exchange rate is approximately 1€ = 1,24 US dollars. Most small shops, local markets and restaurants accept Visa and MasterCard. There’s an ATM close to the hotel. Bring some money if you plan to do some shopping or to have a massage. We suggest that you bring around 200€. 17. Will my belongings be safe? We will be in a very quiet and safe island. You will feel the friendliness and kindness of the locals. Enjoy that peace and relax. 18. Is it possible to hold my place? We don’t hold reservations. Your reservation is only confirmed after the payment. If you still have any questions, please feel free to send us an e-maill: info@oceansandflow.com. Be part of a Journey with social impact. We will be supporting the local community and the Greek environmental organization ARCHELON, and the work they develop protecting sea turtles and their underwater eco-system. Registration is limited to 12 Participants. Deposit of 40% when booking. Final payment until 30 days before our Journey. Check out our “Cancellation Policy” in Terms and Conditions. Aquatic Workshop in Cape Sounion, under the Poseidon Temple, the God of Sea. In a beautiful blue canyon we will set the perfect place for dancing: a natural stage with subaquatic music. Guided by the choreographer/teacher Apostolia Papadamaki, in partnership with Athens Divers Club. EcoAct – actions for the sustainability of the planet. An object that symbolizes the importance of water in our daily-life, and at the same time, an action to reduce the consumption of plastic. 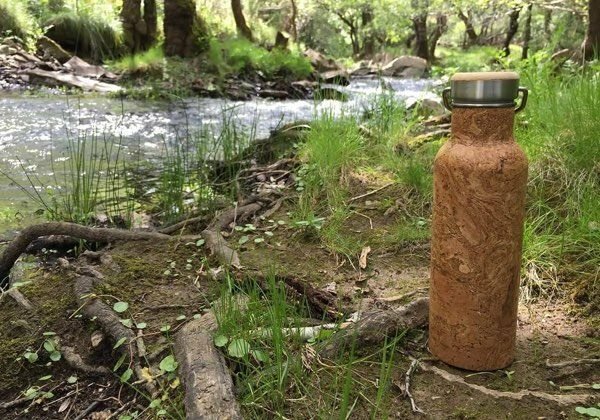 Features: BPA free; Capacity for 550ml; Watertight screw cap in bamboo. Cork and stainless steel. Receive adventure and inspiration in your mailbox.